In order to accept online payments via Braintree for your issued documents, you need to have a Braintree account first. In case you want to create a new account, visit signups.braintreepayments.com and follow the registration instructions. 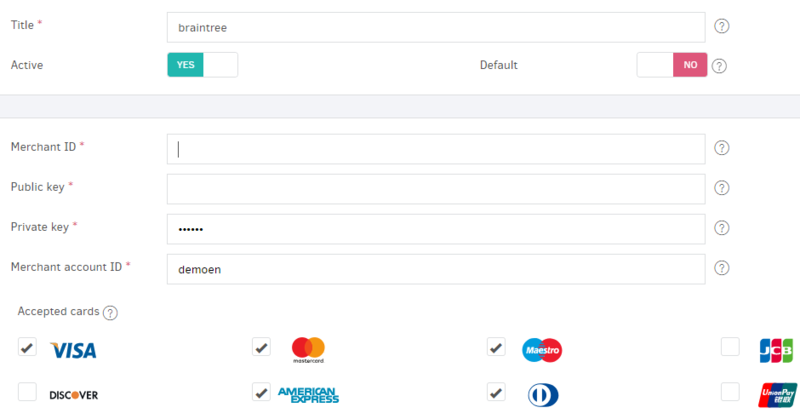 With Braintree, you can accept payments directly from your customers' credit cards while it supports multiple currencies enabling you to get paid from all around the globe. 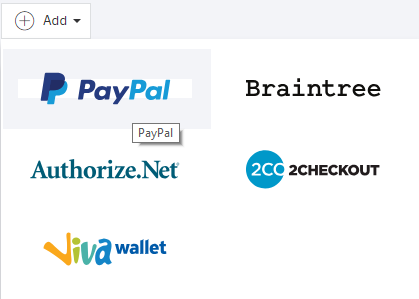 You may also receive payments from PayPal accounts, as Braintree is a PayPal company. Note: For each currency, you need to receive payments in, you need to set up several "Merchant account ID's" in Braintree; each one processing a different currency. Each currency must have its own Braintree payment gateway inside Elorus which you can set up by following the instructions below as many times as the number of Merchant account ID's. In case you already have a Braintree account, its integration with Elorus is quite simple. From the main menu select “Settings-> Payment gateways”. Then, click “Add” and from the list of options select Braintree. The first step to establish a new payment gateway is to determine its title. The title will be visible to your customers upon making an online payment. Make sure that the gateway is “Active” and if you want Braintree to be an available option in your new commercial documents, activate the “default” field. To fill in the rest of the fields you need to log into Braintree control panel where you will find the Braintree API credentials by following: "Account"->"My User"->"View API Keys" (Under Authorization). Your merchant account ID can be found under "Settings" -> Processing". Braintree has setup a default merchant account responsible for processing your payments. Remember: Each Merchant Account ID is tied to a single currency. Be sure to type all the fields correctly and then click “Save”. You have now integrated Elorus with Braintree and can accept payments automatically! For more information about payment gateways and online payments instructions, you can refer to the related article.